Severe weather makes me want to cook. Quite possibly this is due to our frequent and sometimes prolonged power outages and fear of losing my refrigerator’s contents. 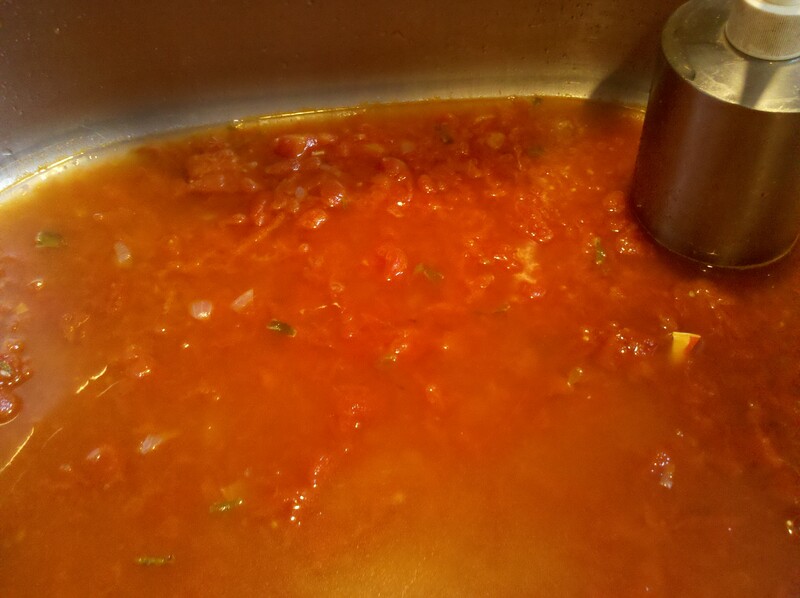 Today I was determined to use the last of the tomato crop to make homemade sauce, something I have never done before with fresh tomatoes. I blanched and then peeled and then simmered and then congratulated myself on being such an outstanding homemaker, the kind who makes fresh sauce right before a hurricane. Pride is a sin; when will I learn that? I was grinding some sea salt into my sauce when — BOOM! — the top broke off and dumped about 20 tablespoons of salt into my pot. Then I cried a little. All that work down the drain! When faced with going out to the store for tomatoes with all of the crazies buying batteries and milk, Ed decided hunting down more tomatoes from the garden was the preferable option. 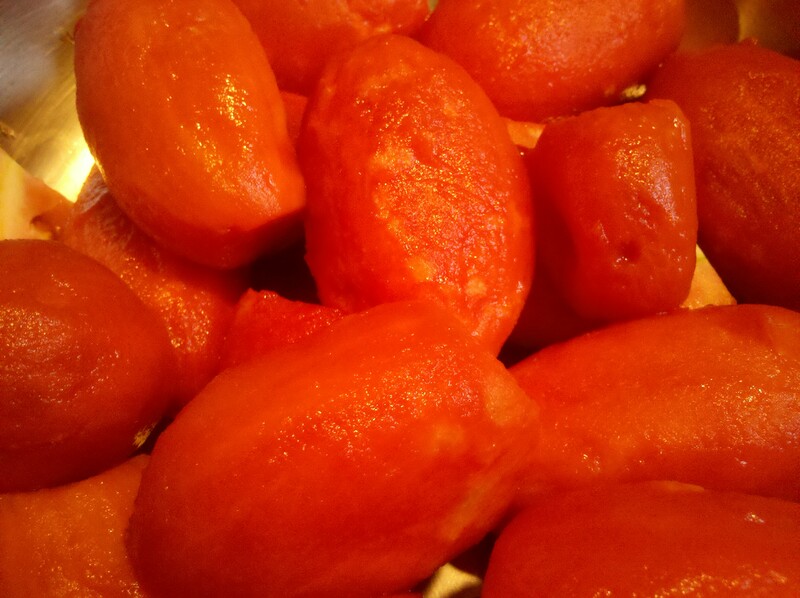 These were not the grade A tomatoes I just ruined (shown below, RIP), but there were enough to make another sauce. I was kind of hoping he would have fetched me a couple jars of Barilla at this point, but sometimes you just have to start over. I put on Pandora’s French Cafe music station and got back to work. This will work equally well with ziti or penne, with sausage or without. Don’t skimp on the cheese, though! In a large stockpot, heat butter and olive oil over medium heat. 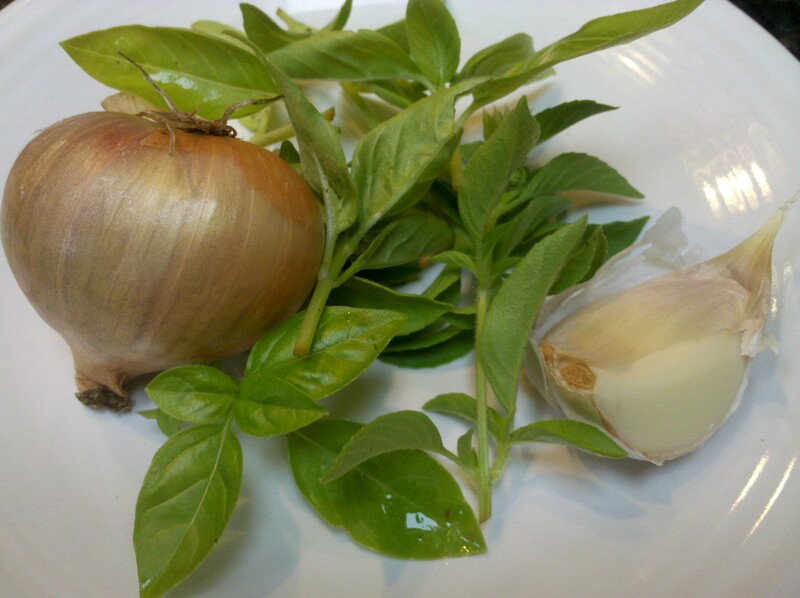 Add shallot to soften for about two minutes. Add tomatoes, basil, garlic, tomatoes, wine, and sugar. Cover with lid ajar and simmer over low heat, about 30 minutes. 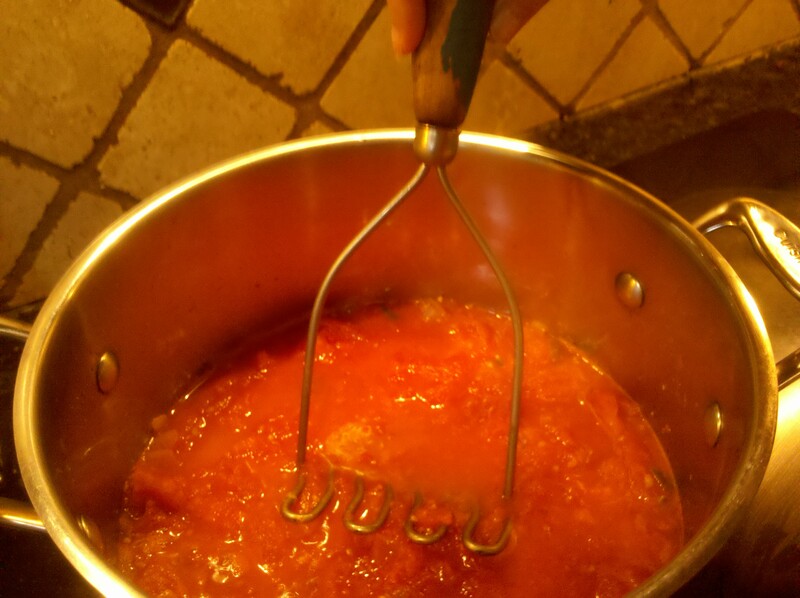 With potato masher, break up tomatoes until well combined, and continue to simmer for at least another 10 minutes. Add salt to taste, being careful not to dump the whole container into your pot. Whole milk ricotta cheese, 15 oz. Brown sausage and add to sauce, simmering on low. In same skillet, saute onion and pepper, then add to sauce. Mix in ricotta cheese until well combined. Add 1 cup mozzarella, stir well, and then add pasta. All ingredients are now in one pot, see below. Pour into a deep casserole dish or 13 x 9 glass pan, spread evenly, and top with one cup mozzarella. Bake for 30 minutes until brown and bubbly. Serve with red wine, unless you are worried that you will be without power for several days and want to save your wine for emergencies. 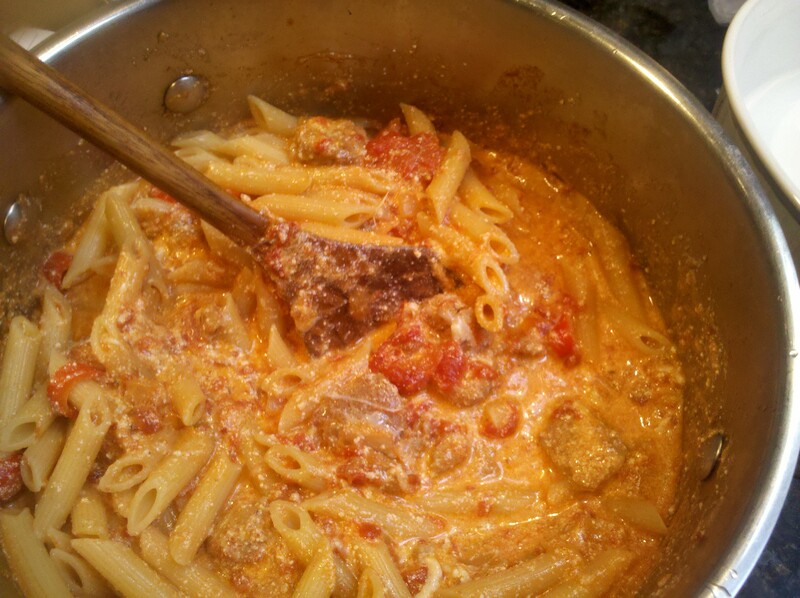 This entry was posted in Main Dish, Uncategorized and tagged penne, peppers, sausage by Mom Mom's Apron. Bookmark the permalink. Sorry about the salt disaster. Just make sure you have enough wine for the penne *and for the hurricane. LOL…I had a 2lb bag of shrimp in the freezer (gasp…I use frozen shrimp at times) so we had Shrimp Fried Rice for dinner. I wasn’t going to lose a $22 bag of shrimp! I have frozen shrimp, too. I also have two pork loins and about six pounds of chicken breast. We already lost power briefly and it isn’t even windy yet. Good luck, fellow storm riders! I pray this is all just a news ratings ploy. Wow – this recipe makes my mouth water! I will definitely try to make it! I tried your marinated cucumber recipe, and not only did I love it, but Sophia did too! By the way – I didn’t know Pandora had a French Cafe channel. Cool! This sounds beautiful. I decided this recipe is on the menu for this week. Unfortunately I will have to use up the leftover tomato sauce (from a jar! gasp!) in my fridge. Hoping to have a meal plus enough for a free-for-all night later. Keep ’em coming Dawn. Once you have power again, of course. Oh the shivers it gives me, the thought of no power. We put half a steer in the freezer in April or May, and I’ve been freezing local fruit all summer long. What a disaster THAT would be, no lose power. Gah! I make something like this with sausage, onions, and a spicy marinara, etc. For the cheese I get maybe a pound of soft, fresh mozarella and cut half of it into 1/2 inch cubes and mix it in with the pasta and sauce along with some parmesan. I slice the rest super thin and lay it over the top of the pasta once it is in the dish. There’s no ricotta. I think I am going to try your recipe and see what my crew thinks. 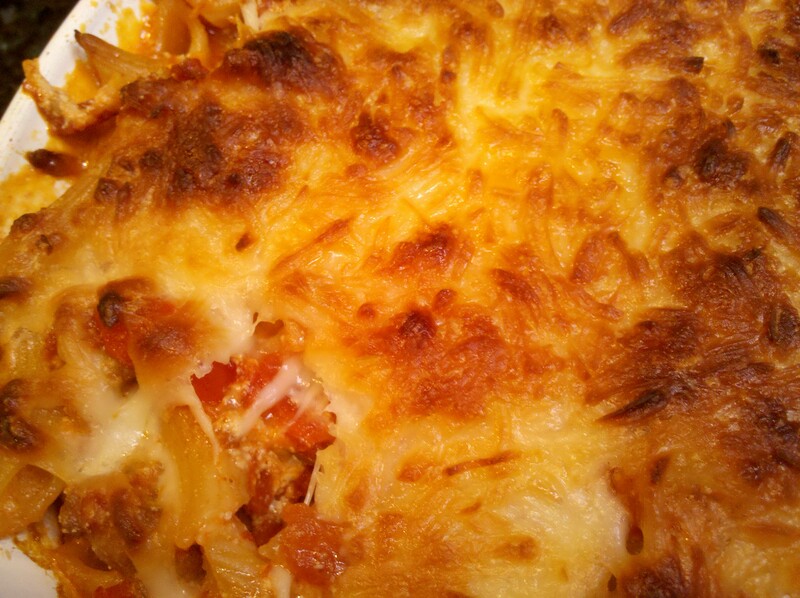 (pasta, sausage, sauce and cheese all baked up–what’s not to like???). Nice recovery! It looked delicious!